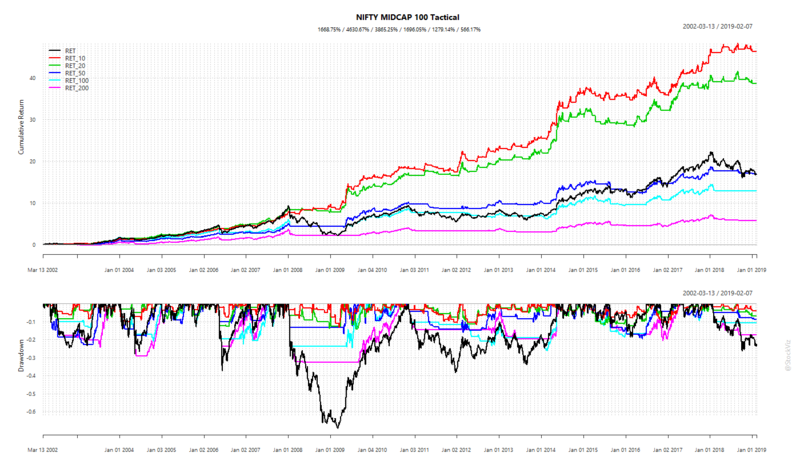 In Part I we saw how a simple tactical strategy that can be implemented by ETfs out-performs an actively managed mutual fund even after transaction costs. However, there are more than a million ways to implement an SMA strategy. Everything from picking the lookback period, cross-overs and enveloping are all open questions. There is no single “best” way to do it. Here, we add a simple check that makes sure that the SMA is trending higher before going long. 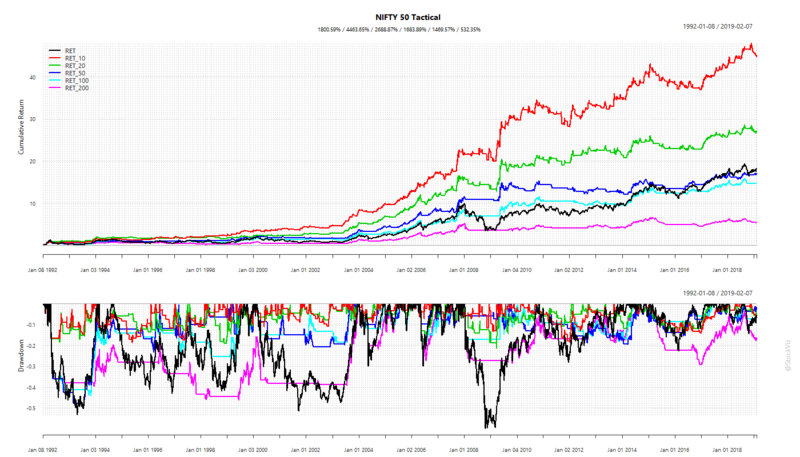 Quite simply, for an N-day SMA, we compare Nth-day to N/2th-day. If it is higher, then we go long. The gross returns are lower than the “raw” strategy that we saw in Part I. However, the drawdowns for the 10-day SMA are a lot shallower. Shallower drawdowns allow a bit of leverage to be employed. 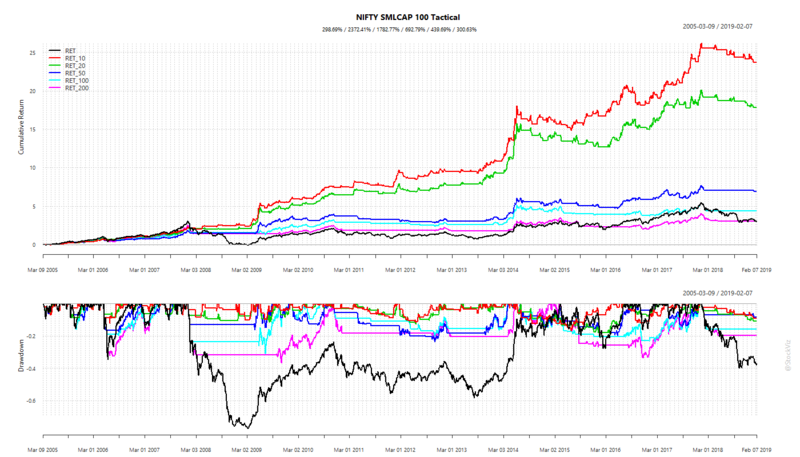 This could be a good starting point for a NIFTY futures trading strategy. In Part III, we look at how cross-over strategies perform.